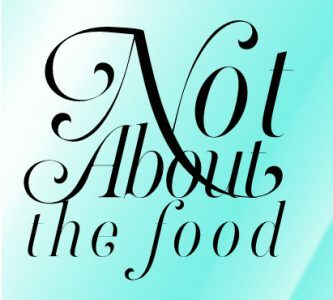 It's Not About the Food – Page 2 – Living with a food addiction and succeeding. My mother took me to the doctor to see if my weight issues could be a thyroid problem. After the exam I was at the check-out counter and glanced down at my report. I saw the word “Endomorph” and had a moment of elation that my problem wasn’t my fault. I was relieved to see that I did have a medical condition. I asked the nurse what the word meant. She said it was “obesity”. My ears rung and my body felt as if it had been hit by a truck. I knew I struggled with my weight but did not consider myself obese. I felt ashamed. My first attempt at a diet was these chewy squares of yummy chocolates called “Ayds”. They came in the rectangle box similar to that of which candy is packaged. I woke up the next morning with a blood-soaked pillow. Apparently, I had a bloody nose in the night without my knowledge. Looking back now I assume I ate several of the chewy chocolates instead of the recommended dose. Regardless, that was the last of the Ayds diet. My second attempt was Dexatrim diet pills. These were not quite the appeal of the Ayds chocolates. This diet was very short lived because they just gave me the shakes. To calm my nerves, I self-medicated with more food. Next my mother took me to my first Weight Watchers meeting. In the basement of a church with people much older than I was. In those days it was rare for children to be overweight. This was my first of five attempts throughout my life to try Weight Watchers. It never worked for me. Too much emphasis on what to eat. It has improved throughout the years but just looking at some of the paperwork I had saved it’s no wonder it didn’t work for me. Too complicated and life is too short to focus on food intake. I kept going back because they advertise heavily and convince me it should work and I’m not a quitter. I tried NutriSystem in the past when they had meetings and you met with a nurse. The nurse was disgusted with me when I failed to lose weight. Not a good strategy for someone with already low self-esteem. At that time, you would select your food and they gave you your grocery bag filled. Unfortunately, UPS went on strike, so the food selections suffered. This is the last diet I will describe and the lowest point for me. I saw an advertisement in a popular women’s fashion magazine for a “mystery” diet food supplement. Of course, having the word “mystery” I was intrigued and thought it was some new cutting-edge product that would launch the world into a new healthy population. I could not wait to get my miracle product in the mail. And then it arrived. This utopia for us desperate fatties. I opened the package and much to my disgust was a jar of banana baby food. I felt like a fool. I was ashamed that this baby food company was preying upon desperate people like myself to sell their product to a new demographic – the perfect “suckers”. I pictured the market research group all laughing at me for “buying” into the ideas of this being the solution to my pain. Naturally, being the food addict that I am, I ate it. Even as I ate it, I felt ashamed. It was such a low feeling. Feeling that I was being taken advantage of and then not even having enough respect for myself to throw it away. I can still picture myself slowly eating this goop and my whole posture broken with shame. Thin Within Prayer group. I didn’t buy the premise that God cared that I was a glutton. I had to take a break from sharing the painful memories of my past. It’s interesting because I almost feel more comfortable sharing the hurt than the success. It’s as if I celebrate the success it will go away – “it’s too good to be true”. However, today I am owning it and celebrating. I am proud of what I’ve accomplished and that I never gave up. Ladies and gentlemen, I present the selfie of which I am proud. This is me! This is Diana Chrisanthopoulos McLean who is okay with how she looks and feels. P.S. I sobbed typing that. That’s a lot of years of pain coming out. Thank you for reading. I strongly believe that if you have found something that worked for you then you should stick with it. Please don’t look at my experiences as what will happen to you if you try some of these weight loss methods. My point for talking about what I have tried in the past is that I learned something about myself each time I tried a different diet. Trying a diet program and failing may be as important as succeeding because you can look at the situation and learn from it. The fact that I tried Weight Watchers at least on five different occasions and failed doesn’t mean that Weight Watchers is a bad plan. In fact, almost every time I have run into someone and noticed that they lost weight they have said that they were on Weight Watchers. What I found for me is that I did not like the idea of waiting in a line to get weighed. I was embarrassed and felt “punished” that I was in somewhat of the prison line waiting to be analyzed. Was I being punished and analyzed – certainly not, but that was how I felt. I also was distracted by the food products along the wall while I was in line. I would purchase all that I could carry in my arms. It was as if I felt that I had a license to eat/drink all these products because they were condoned by the authority on weight loss. When I was in the meeting portion of the Weight Watchers program, I found that I would be obsessed with thinking about what they recommended for eating. The discussion one day was about a brand of low-fat brownie mix. They said where you could purchase this product but unfortunately it was at a location that was about 45 minutes from where I lived. I packed up my two small children and drove to this store just to purchase this brownie mix. I was so excited about my purchase that I immediately made the brownies and ate the entire batch. Again, I felt that they were condoned by the weight loss authority and I took it a little too far – just a little. When listening to diet “experts” I don’t always like to hear what they have to say. I suppose they could be correct in their analyses, but their words do not help me. I was watching a program about an extremely obese man who was bedridden due to his size. The psychologist said that he needs to “feel his anxiety” instead of eating through it. I disagree. Who wants to feel their anxiety? That’s not the desirable choice. I do not think there are only two choices – eat vs. “feel” the anxiety. Instead, feel the positives, feel good! There is good there to enjoy. How can anyone be successful if they are asked to feel uncomfortable and just plain bad vs. good. I understand the point is that the man is eating to avoid the pain of anxiety. But the man can deal with it another time – not when he is going to eat. Couldn’t there be a third choice to focus on something positive and solutions. I also shun at the terms “lifestyle change” and “behavioral change”. I believe that sounds so radical, so sad. I like who I am, the core of my existence, the essence of who I am. These terms make me feel like I have to say goodbye to that. Is that what it means? Certainly not but that’s what that kind of thinking – my kind of thinking prevented me from succeeding. It’s about positive, empowering, power control, lifting yourself up being more then you can be. Next week I will list the fourteen (at least) different diets that I tried without success. I remember being in sixth-grade in the cafeteria. It was the usual boisterous lunch time with kids trying to get to their spots and excited to have the break. I was standing next to the table getting ready to sit and the “lunch lady” apparently thought I was taking to long and yelled “sit down… if you can fit”! I didn’t think too much of it myself but there was a gasp among my friends at the table and all eyes looking at me. I felt a little weak and broken but as if a bubble was around me to shield the people looking at me and feeling the hurt. When lunch was over, we lined up in the hall. My two very skinny friends came over to me to express their shock and to let me know “don’t worry Diana the toothpicks are on your side”. It made me laugh then burst into tears. Well that brought even more unwanted attention. I was pulled out of line to the principal’s office. My teacher at the time (still my all-time favorite) was Miss Ann Dryden. She met me in the office, put her hands on my face and said, “you are beautiful both on the inside and the outside”. I adored her and respected her. Anything Miss Dryden said was true, and if Miss Dryden said I was beautiful it must be true! Miss Dryden – you are my hero! I read a great book years ago called “Raising Your Spirited Child”. What I learned from this book I feel can apply to many things in life. When you teach your children, you try to connect with them using different methods. You might try to modify the technique each time. What worked once might not work again. The same is true for dieting. Weight Watchers might have worked great at one time in your life but not now. Never give up trying different techniques. What might have worked on Monday might not work on Saturday. Make specific action lists for days of the week or events. Play out different scenarios. What will your weekend strategy be for focusing on your goals? If you miss even one day with your dieting – regroup and start again. Arrest the behavior. What happens when the plan doesn’t work, when you find that you cannot stick to the plan? Write down what you ate that day and when you ate it. What else was going on that day? When did you deviate from the schedule or why didn’t have a schedule or plan that day in the first place? Can you modify your plan to accommodate that situation should you find that happening again? Take out your goal reminders! Why are you doing this in the first place. It will help you refocus and get back on track. Do you have feelings of giving up – that’s it’s just too overwhelming to think about? I do all the time. It depends on what I tell myself. There are times that I feel physically exhausted just at the thought of trying to keep what I eat in check and keep moving. However, after over 30 years of feeling that way I still have hope. I do not give up. It’s almost as if it is a habit, a part of my day to keep hanging in there. It’s not a life that I would have chosen for myself or wish upon anyone. I believe in myself and even though at times I think it would be easier to give up I feel that deep inside I know that would not be fair to myself. I know that I have the strength to keep going. I sound so dramatic but that is part of my nature and being someone addicted to food it’s my life. It has been all consuming. You might not have these issues and be glad that you don’t. My point is that if someone like me who is consumed with thoughts of food can do so there is hope for you. I used to take dance class growing up. The standard attire was the leotard and tights. I remember standing in line for one of the warm up routines with “Black Magic Woman” playing. A girl next in line to me, who was also in my class at school, turned to me and said, “you look better with clothes on”. Yet another moment of mixed emotions. I was embarrassed that standing there in my leotard I was clearly not the form of a dancer as the other girls. However, I was also relieved that in public I must hide it well and look “normal”. Luckily that song wasn’t an all-time classic because the very few times I’ve heard it since, I’m in my leotard feeling rather bulbus. I have tried an obscene amount of diets and weight loss systems. I will be devoting an entire blog to them in the future, and why they didn’t work. However, I have always tried to at least get one “take away” from the experience. When Nutrisystem first came around they had workbooks and meetings. The one lesson I learned when I read the materials was about moving. Incorporate moving into everything and anything. There are so many ways that you can incorporate moving into your regular routine. When talking on the phone you can get a headset or put the phone on speaker and fold the laundry. While cooking dinner you can put on some music and have a little sway or bounce, hippy hippy shake while you’re stirring up the pot. If you live close to the market, to your children’s school, put in a walk instead of driving. Don’t look for the closest parking spot while running errands or at the office, take the furthest spot away from the front door. When cleaning your house be more purposeful. When you are dusting really take to heart the expression of “using elbow grease”. If you live in a house with two floors you might have been trying to group things together that have to go to the other level. Make those extra trips instead of waiting. Some of the fittest people I know also happen to love food. It’s as if it is an art form to them. They talk about it as if they are creating a work of art from a master painter. I thought how could this be? I’m not even that colorful when thinking or talking about food yet it captures my every thought. However, what I noticed is that they are always moving and when they move they move fast! Just walking from the parking lot to the mall with these people is a workout. When they clean their house it’s like a game show contest – speed cleaning. For me, I could take 3 hours cleaning just my bathroom. I’m in my own little world taking my time. Which actually makes no sense. Who wants to spend more time cleaning a bathroom – get it over with! We all know that it makes sense that in order to be healthy or to lose weight your body needs to be active. It is so true when they say “a body in motion stays in motion”. I feel it all the time, especially if I’ve learned something new. It’s as if my body wants to repeat that move throughout the day. If you’ve never exercised, just start moving, then move more and move faster! One by one the skits were performed and the reaction from the audience was boredom. I felt embarrassed for the other performers. The silence was awkward. Then it was time for the Leggs commercial and my acting debut. I remember being terrified for many reasons. Acting in front of the audience and the reaction of my line in particular. I still remember what I wore, where I was in the room, etc. I had a purple silk blouse, purple velvet skirt and black boots. I thought I looked “normal” and not someone who would be labeled as needing queensize anything. The skit started and my cue was up, I did my swirl, held up the Leggs “egg” and said “and I wear Queensize!” The audience roared!!! Even though I knew I was poking fun at myself I was relieved that I entertained. It was confusing for me because I wasn’t sure how I was supposed to feel. The laughter felt happy and not hateful. It exemplified the notion of whether people were laughing with me or at me. I never knew the answer but I didn’t take up acting after that 🙂 Thank you for reading! Paid attention to your eating behavior and patterns “Do This Now”. Have your goal(s) “Start at the End”. Perhaps you wrote down your goals on an index card as a reminder. I did this on a business card size card stock and had it laminated. I pull it out when I feel out of control to redirect my thoughts from food to the goal. However, even before you need to pull out your “goal card” to redirect your thoughts it’s important to know what your plans are for the day. If you have control of your day then you won’t become “out of control” and be tempted to make poor decisions about overeating or poor food selections. Make a morning to do list to gain control before you have lost it or become out of control. Do you need a routine? Establish a routine so you do not have to think about it. Making room for any kind of “Plan B”. Plan a standard menu that you like so there are not too many options and you spend too much time thinking about what you are going to eat. Your easy “go to” menu. You plan this once and have the items ready so it keeps you from thinking about it. Make plans and adjust the plans for fit the time of day, the season as well as the day of the week. The purpose of putting together a plan for scheduling your time is that you will not have time to think about food. This is not a meal plan that will cause you to focus on when your next meal is and what it will be – it is a plan to fill up your day to keep you distracted from eating and to live your life. That does not mean that you fill up your day with tasks that are labor intensive and not enjoyable. You could plan your day to include a nap, or just sitting in a chair meditating. As long as the plan is not focused on eating but living. Living encompasses a limitless list of activities and just being, it is so much more than being about the food. You can change out the plans to fit the scenario: Change the plans for the season. You do not have to have all of these plans far in advance you can make them in the morning. However, if you are bored or need a distraction you can create all kinds of plans – plans for the weekend, party strategy, hectic day plan, etc. All of these plans might seem like a lot of work but think of it as a game. If you were playing a game, you would have game pieces (your goal card) and a strategy for winning (your plans). You win the game when you reach your goal. The goal isn’t a final weight – it is the list of items on what you would do and how you would feel differently – the way you want to feel. Having a plan is important for me because my habit was to walk into the house and head straight to the kitchen to grab something to eat. I would feel anxious from the day and would shovel food into my mouth without enjoying it. Sometimes I wouldn’t even take my coat off and would act like a “wild woman”. All the while knowing my behavior was disgusting. I couldn’t stop the screaming locomotive racing through the kitchen. Once I had that thought of eating in my brain it had a “Vulcan grip” on my thoughts. Now, I visualize before I go home what I will do when I walk through the door. I derail the train before it leaves the station. When you are chubby everything becomes… “chubby”. In the fourth grade I became a candidate for a bra. The popular bra of the day was the “Playtex Living Bra”. I don’t know how it was discovered that I was wearing a bra, probably a wayward bra strap or a top that was clingy. All I remember is girls taunting me to go home and “feed by living bra”. That’s when I started walking hunched over. It’s been a struggle ever since to correct my posture. I have been told I “walk like a man”, “walk like an old lady”, and have the posture of “a boiled shrimp”. It’s ever-present in my mind to stand up straight. The bra event wasn’t the worst event in my life but when you are singled out for something you get singled out for just about anything. In that same class, I remember having an itch on my face and just scratched the itch. No big thing, right? Well, another boy in class thought differently and imitated me making monkey noises and very exaggerated. Those things are cemented in your mind for – ev – ver. I see him every time I have an itch on my face. Luckily, it’s just a thought and the feelings I felt at the time don’t come up. But let me tell you he was rather unkempt and had long hair that covered his eyes. Not a sight I care to remember but what can you do (ha, ha). I remember reading someplace that a particular author would start writing his novels by beginning to write the end of the story first. I found that quite interesting and great advice for deciding what I hope to achieve by losing weight. What do you hope to achieve? Make a list of positive thoughts about doing well and what that looks like to you. How would you feel differently if you were at your desired weight? What would you do differently if you were at your desired weight? I would walk with confidence. I would feel lighter as I walked and moved. I would feel a “weight off of my shoulders” of not having the burden of being different from others. I would have more energy and be able to participate in activities. I would tuck my shirt in my pants and wear pants with a belt instead of blousy shirts to cover/hide my stomach. I wouldn’t sit with a throw pillow in my lap to hide my stomach roll. I would look forward to a dinner invitation instead of dreading it and worrying that I will eat too much during the day and blow up a size by going out to dinner. I would enjoy wearing a bathing suit instead of dreading summer and the beach. I eventually got to experience those feelings and activities when I did lose weight and was down to a healthy weight. I went into the GAP to purchase jeans and the sales girl asked if I needed help. I said yes because I was overwhelmed with the selection. She asked if I was a 6 or 8. I laughed out loud (actually roared) because in my mind I was much, much higher! I could not believe that someone could size me over and come up with those numbers. I actually did end up trying on the size 6 and picked up a jacket to try on as well. The sales clerk said, “honey that is way too big”. With joy I willingly took the smaller jacket to try on. To my delight it fit. However, the sales clerk still felt that it was still too big. I had to say, “let’s not get crazy” and kept the second selection. I’m sure I skipped out of the store. To this day when I see that jacket it makes me happy. P.S. I am also now a belt hoarder. As I started to get older and now into elementary school, I was larger than the other children. Not clinically obese at that time but taller, larger frame and chubby. At the time I didn’t feel being different was a bad thing. However, that feeling changed. There was a movie that was shown on television back in the 1960’s. It was called “Skinny and Fatty”. I do not remember the details but it was about two Japanese boys one very thin and one quite large. I remember that the large boy was bumbling and could not do physical activities well. His name was Oyama. There was a skinny boy in the film who tried to help him. The skinny boy was Komatsu. Back then we really didn’t grasp the translation and thought the large boy was Komatsu. In my neighborhood the children called me Komatsu as if to make the comparison of me to the large bumbling boy. They would yell “Komatsu, Komatsu” when they saw me. I remember trying to laugh along with everyone so that they didn’t see that I was hurt. Any time I was made fun of I would laugh along. In some way I thought if I showed pain it would make what they said true. If I laughed along it meant they were just making a joke and laughing “with me”. However, I would go home and hide under the basement stairs to cry in private. I didn’t want to look like an overweight, bumbling, Japanese boy. Back then girls wanted to look like the “Breck” girl. The “all American”, perfectly coiffed hair, perfectly everything girl. When you are told in your formative years that you are different and not a good different it stays with you. I spend a lot of money trying to achieve the “Breck” girl still today. I am Sephora’s largest customer… oops I mean “best” customer.